What makes the perfect acoustic, according to science? What exactly creates the ideal place to hear classical music? 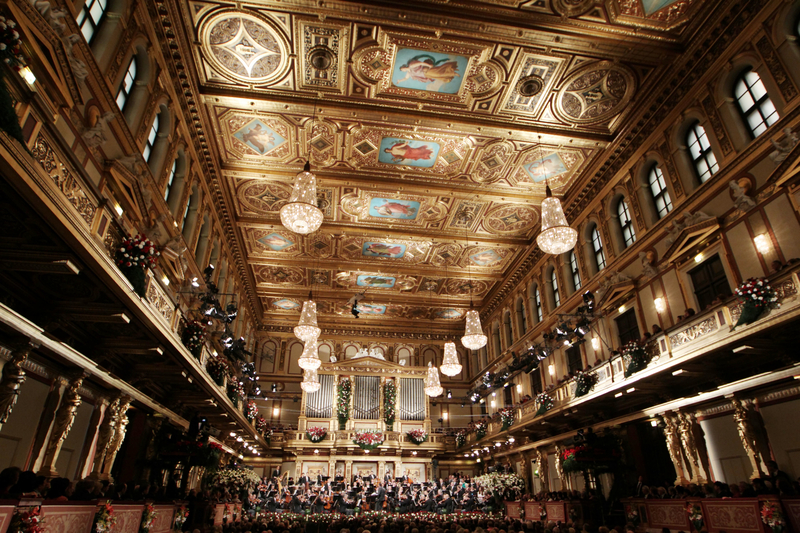 What makes Vienna's Musikverein universally acclaimed and London’s Royal Festival Hall (almost) universally… well, not? First things first, what makes is a good acoustic? “If you’ve ever been to one of those outdoor concerts – you may have noticed that the sound is rather thin and distant. What is missing is the concert halls’ walls and ceiling, which provide thousands of sound reflections. “The sound bounces and reverberates around the room and so reaches the listeners from lots of different directions and spread out in time…This reverberation enriches the sound the orchestra makes, and with the right design makes you feel enveloped by the sound and involved in the music making. So how to acoustic engineers go about creating the perfect acoustic? Through trial and error, engineers now know that shoe box-shaped halls make good concert venues. This includes Vienna’s Musikverein, but also London's Royal Festival Hall. More recently, ‘vineyard terrace’-shaped halls have proved to have good acoustics. These include Manchester’s Bridgewater Hall and the famous Berlin Philharmonie. The walls of the concert halls are used to control the acoustic. Hard surfaces will reflect the sound – and you’ll find lots of these in concert halls – while soft surfaces will absorb it. The only places that you’ll find soft material in most concert halls is the seating. 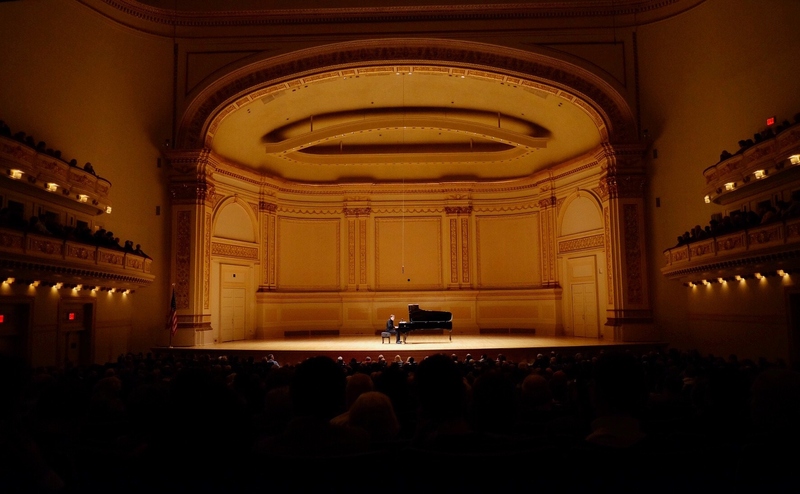 The architect of New York's Carnegie Hall (pictured below) did away with many of the features common in concert halls and theatres up to that point – including heavy curtains, chandeliers and frescoed walls. The new smooth-walled auditorium and domed ceiling help create the hall's now legendary acoustic. Rough surfaces can also be used to disperse sound in all directions – this might be used in concert halls to get rid of echoes that would distract from performances. A key part of having a good acoustic is that the audience can hear the orchestra clearly and loudly. There’s no point listening to Wagner’s Ring cycle in King’s College Chapel, Cambridge. Nor are you going to get the best performance of an antiphonal piece by Gabrieli in the opera house in Bayreuth. That’s because both Wagner and Gabrieli wrote their music with specific acoustics in mind. 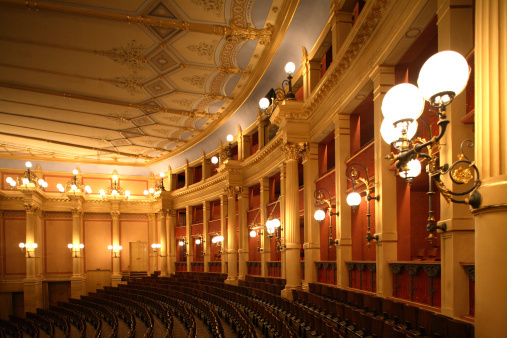 In Wagner’s case, that was his self-designed opera house at Bayreuth (pictured below, where his works are still performed), and for Gabrieli it was the spectacular interior of St Mark’s Basilica in Venice. There are two ways that sounds from the outside world can get into a concert hall: via the air and via the structure of the building itself. 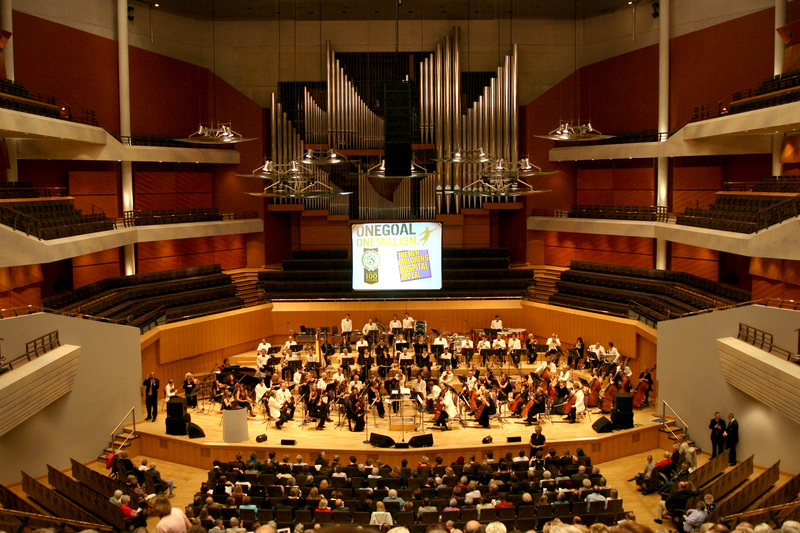 The Bridgewater Hall in Manchester (pictured), for example, is mounted on springs, to help reduce structure-borne sound from traffic and trams. And most modern concert halls are surrounded by a gap of air to prevent sounds from the outside world intruding into the hall and distracting from the music. That's the length of time it takes for a sound to disappear in a space – somewhere like King’s College Chapel in Cambridge will have a long reverberation time, whereas a soft-furnished room will have almost none. For more information, there's a plethora of facts, figures and diagrams on the University of Salford's website.